Campaigners against anti-Semitism have decried the “paltry” number of offences being prosecuted as reports of crimes targeting British Jews reach record levels. Anti-Semitic crimes recorded by police forces around the UK increased to 1,078 in 2016, according to figures following Freedom of Information requests. But at the same time the number of charges fell “drastically” – with alleged perpetrators charged in fewer than a tenth of cases, Campaign Against Antisemitism claims in its National Crime Audit released at the weekend. They also claim just 15 cases were prosecuted last year – though the Community Security Trust lists 21 prosecutions on its website and is understood to believe there were more. The Crown Prosecution Service (CPS) said it does not recognise CAA’s figure and that it’s wrong to suggest it does not take prosecuting anti-Semitic crime seriously. CAA chair Gideon Falter, who said 12 were prosecuted the previous year, said: “The failure of police forces and the Crown Prosecution Service to protect British Jews is a betrayal. The solutions are simple, but whilst the right promises are being made, little has been implemented. 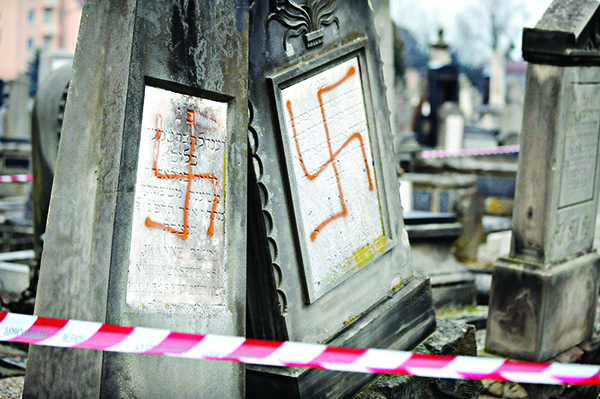 The result is that British Jews continue to endure intolerable levels of hate crime. 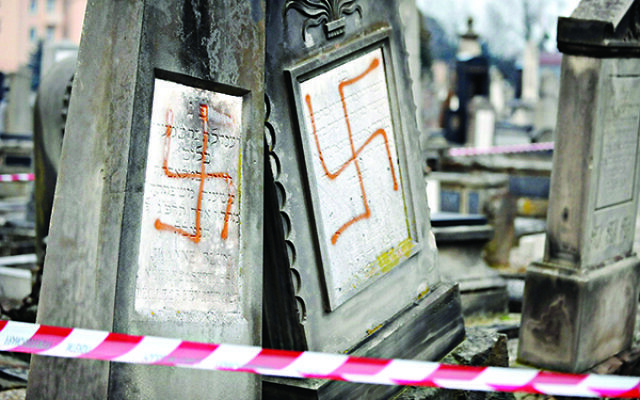 The campaign’s report warned that a consistently elevated level of anti-Semitic crime has become the “new normality” for British Jews since the middle of 2014. Forces recorded 105 violent offences against Jews in 2016 – which was down by 44 percent on the previous year, the report found. Of those, only one was prosecuted. The report also says that nearly half of police forces did not bring charges over any allegation made to it. The Campaign said it had ascertained through a review of its own and other charities’ data, as well as press reports, that 15 alleged anti-Semitic crimes were prosecuted in 2016. A CPS spokesman for the service said: “Last year we prosecuted more hate crimes than ever before – more than 15,000 cases. “We do not recognise the statistics contained in this report. “Religiously-aggravated hate crimes display an ugly element of society which can be devastating to victims who have been targeted because of their beliefs. The CST – which has also reported a record number of anti-Semitic incidents last year – has consistently pressed the CPS to give greater publicity to prosecutions when they happen. The CAA report recommends training and guidance on anti-Semitic hate crime for officers and prosecutors and called for police forces’ responses to the offences to be examined by watchdogs. The CPS earlier this year agreed to review its decision not to prosecute a far-right activist over hate-filled comments against Jews, days before a judicial review brought by CAA was due to reach court.